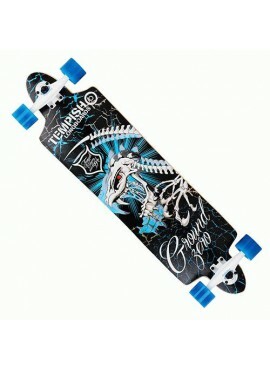 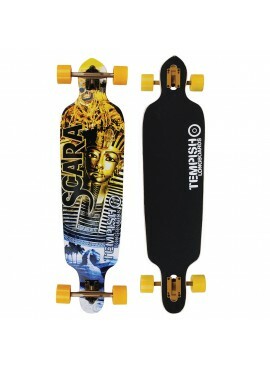 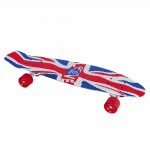 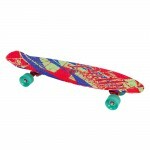 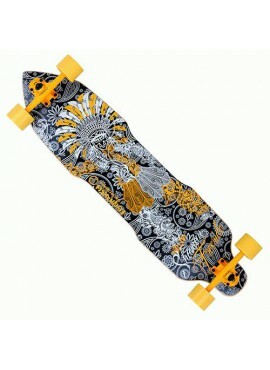 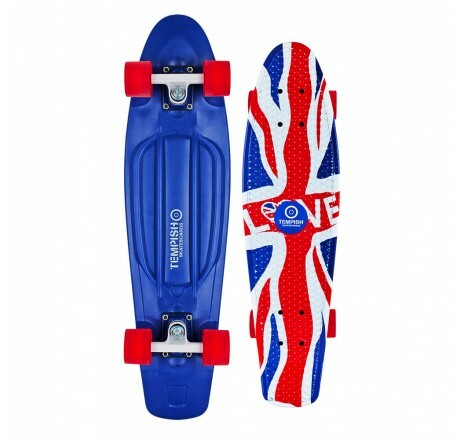 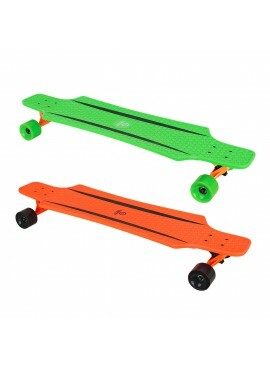 The legendary plastic skateboard made of very hard and tough High impact PC with printing by “watertransfer” technology. 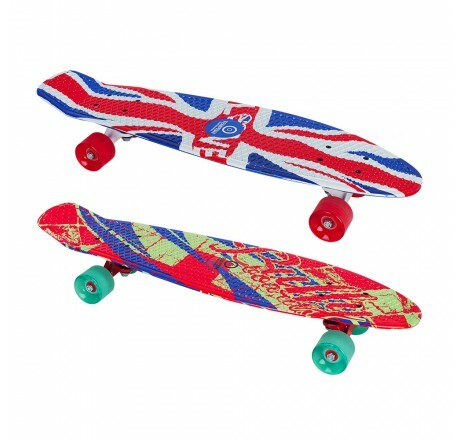 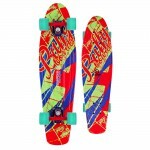 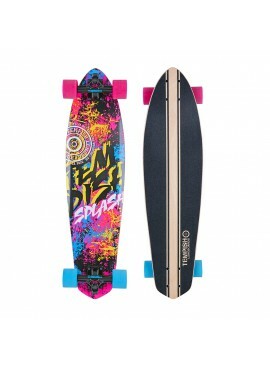 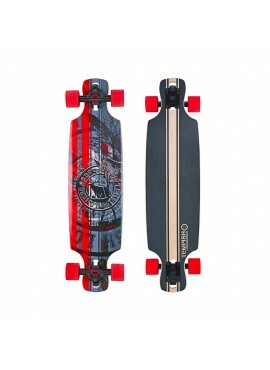 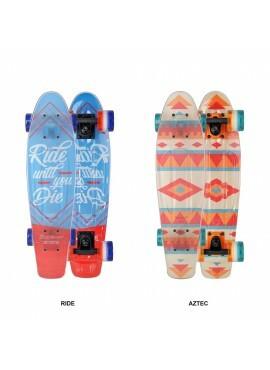 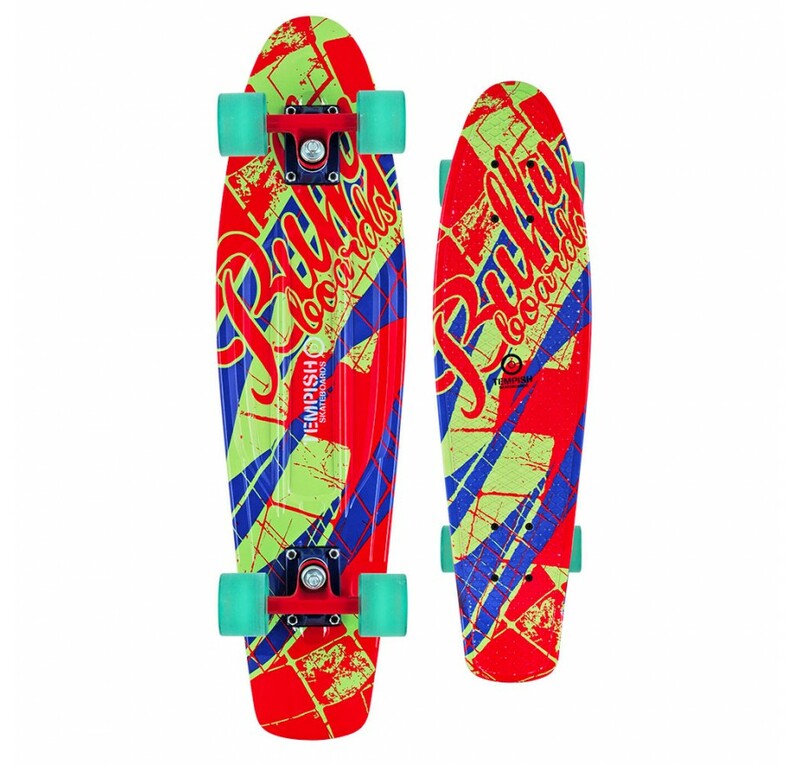 With the size 28" it is smaller than the classic skateboards (usually 31") but bigger than the small plastic skateboards (22"). 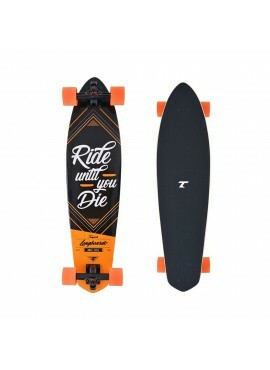 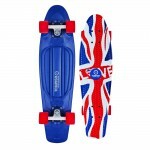 The board has classic oval shape with dimensions 28"*7,5" single kick. 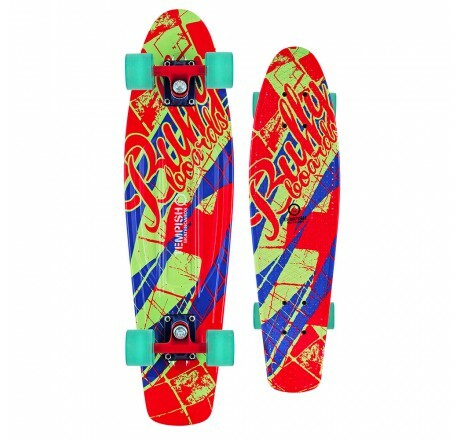 Skateboard BUFFY 28 is intended for beginners, advances and experienced skateboarders and for classic street ride, common and harder tricks. 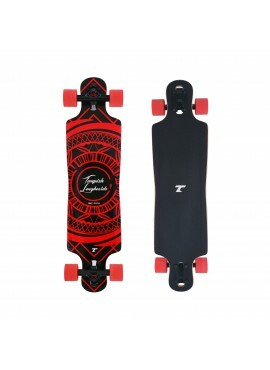 High-quality wheels of Super High rebound PU material have low rolling resistance and long durability, for the wheel surface the popular surface treatment – transparent sand – is used. 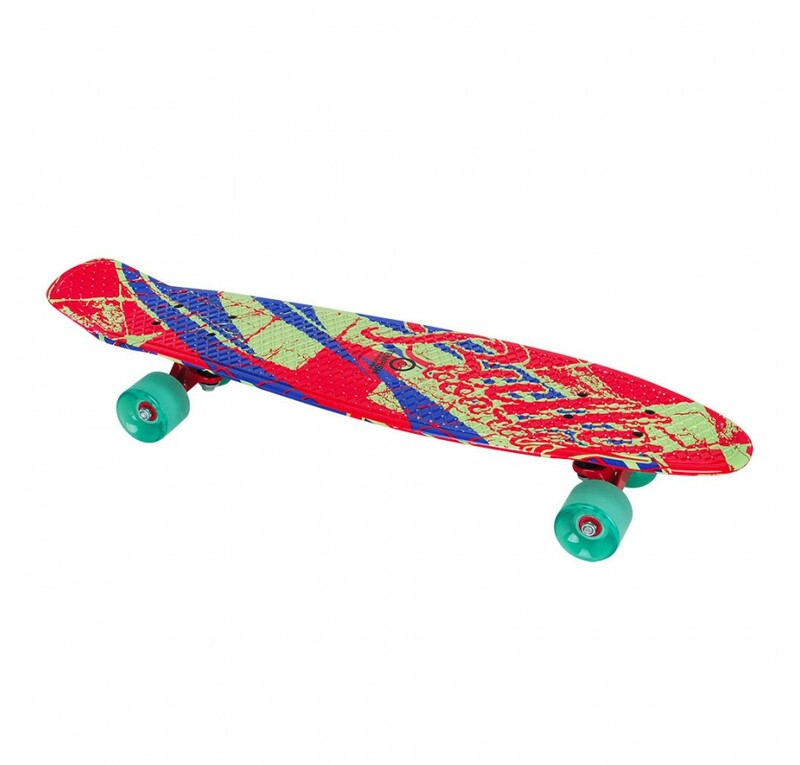 Strengthened truck 4" AL Duty bears high loading as well as high-quality bearings and cushions which are used for the wheels and truck. 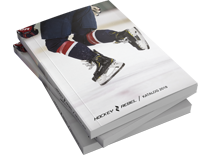 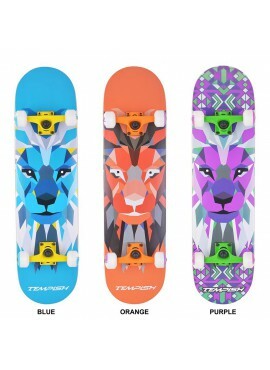 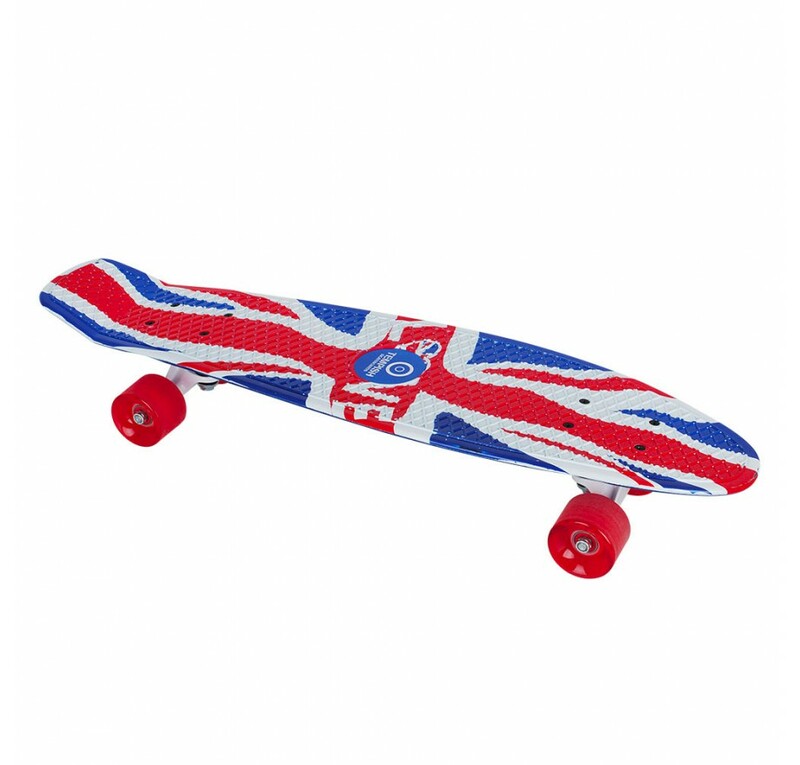 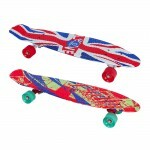 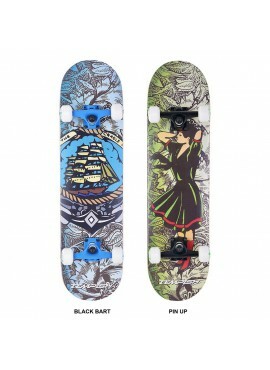 The whole skateboard set ensures excellent handling characteristics and easy control.